For its 24th year, Sheffield Doc/Fest continues to be a haven for international filmmakers and a celebration of the most riveting, incisive non-fiction storytelling on the circuit. What’s more, the festival’s line-up boasts a hotbed of talking – and arguing – points that take prominence in 2017. Along with probing explorations of race, gender and sexuality, there are also lyrical celebrations of music, fashion and, in one case, the secret language of donkeys. Basically, in an era of hot takes and #fakenews, consider this selection of diligently researched documentaries to be the antidote you desperately need. Here, though, are the very best that we recommend you check out. Spending a year with Dries Van Noten is an impossible dream for most who even work alongside him. So here’s the next best thing: an intimate doc with the designer as he prepares four collections and reveals his process. Though Van Noten is among the hottest ticket shows, he’s been fiercely independent since his 1986 breakthrough and has never granted this much access before. This, then, is your chance to study the Belgian’s love of fabrics, hear from the likes of Iris Apfel, and learn whether he takes five baths a day like Tom Ford. Plus, it’s backed by an original score from Radiohead’s Colin Greenwood. Here’s a Zen superstar deserving of your attention. 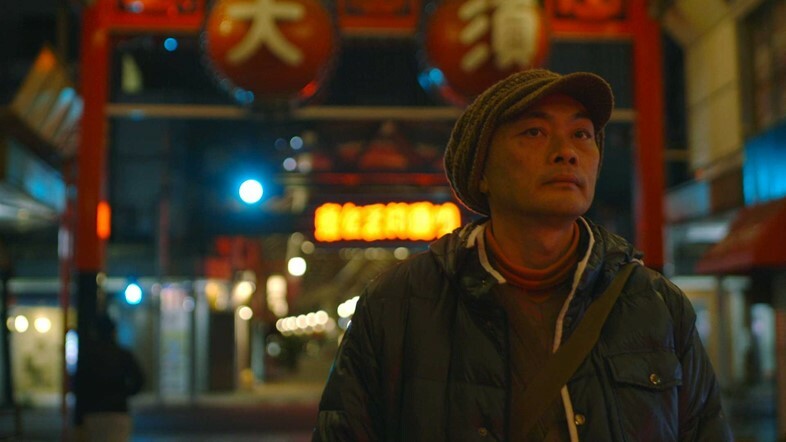 Upon reaching his mid-20s, Ittetsu Nemeto embarked on a path from punk-rocker to literal life-saver: he became a Buddhist monk and dedicated his entire schedule to preventing suicides. But, as we see in Wilson’s doc, the Japanese man’s methods have chiselled away at his wellbeing. Nemeto believes he, as the counsellor, must absorb the negative energy of his depressed visitors, and several years of these sessions have accumulated in heart failure. Who will listen to his problems? Not all heroes wear capes; some prefer robes. In 1992, a black 24-year-old, William Ford, was murdered in a garage. His killer, a white mechanic, was deemed not guilty despite the overwhelming evidence. The jury, unsurprisingly, was completely white. So it’s with Strong Island that Yance, the victim’s brother, takes it upon himself to investigate the injustice but to also remember a life cut too short. Though comparisons could be made with, say, Serial, this is a film told by someone with deep ties to the victim, and it encompasses more than two decades of rightly warranted anger and pain. We already know from Eeyore’s complaints to Winnie the Pooh that donkeys are hopelessly sad, but Do Donkeys Act posits that the grey-haired creatures are actually capable of communication – and not just in Christopher Robin’s imagination. The documentary, narrated by Willem Dafoe, centres around a donkey sanctuary where the constant brays (a “donkey orchestra”) are tinged with sorrow. These are enclosed animals that can only dream of open spaces and the blissful fields into which they will never roam. At least, according to Dafoe, who invents monologues for the donkeys and is clearly still rattled by the fox in Antichrist. Believe it or not, there’s more to Jamaican dancehall than its appropriation by Taylor Swift and Justin Bieber. With the genre empowering women across the globe to become dancehall queens, Bruk Out! meets six competitors at Jamaica’s world championship to hear their personal backstories. Regardless of whether the motivation entails domestic abuse, financial troubles or body issues, it’s evident these dancers share the same goal: the freedom and pleasure of expressing one’s femininity and sexuality on the dancehall stage. Plus, hang around after the premiere for a twerking workshop and a party with visiting dancehall queens. 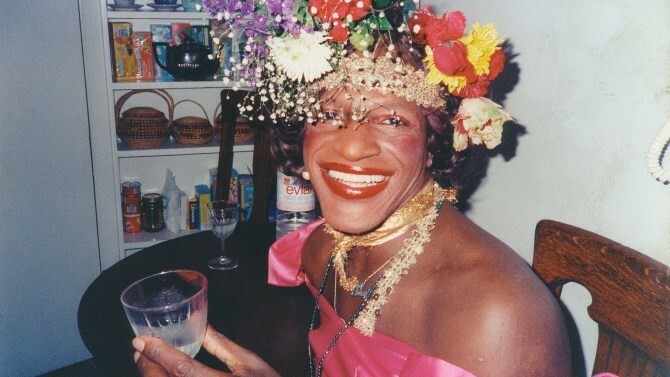 Unlike the whitewashing let-down that was Roland Emmerich’s Stonewall, this doc by David France (How to Survive a Plague) seeks to paint a fuller portrait of Marsha P. Johnson’s storied life as a fearless activist. The black transgender drag queen was, among many things, the first to lob a brick during the Stonewall riots. However, as intimated by the title, her body was discovered under murky circumstances in 1992; the police hastily ruled it a suicide but director David France zooms in for a more comprehensive, compassionate examination. If you’re new to the art of colour guard performances, then Contemporary Color makes for a sonically satisfying introduction. Basically, the practice involves waving flags, throwing props and generally leaping around in a choreographed fashion. Confused? Sceptical? Then let David Byrne and his musical pals – St Vincent, Nelly Furtado, Dev Hynes – demonstrate how a geeky activity becomes ultra-cool with the right melodic pairing. Think of it as a mash-up of Bring It On, Stop Making Sense and the dance class you keep forgetting to attend. Why has Missouri expelled more black students than any other American state? And what are the consequences for these teenagers whose voices are rarely heard? One of them, Daje Shelton, a black 17-year-old who lives in the slums of St. Louis, already feels the weight of societal unfairness, but then she’s transferred to a court-supervised school as a punishment for misbehaviour. The rest of this coming-of-age doc chronicles Daje’s life in poverty – including a pregnancy and losing loved ones to gun violence – while, nearby in Ferguson, Michael Brown is shot by a white police officer. “There ain’t ever been a rat problem in Baltimore,” a local declares in the trailer. “It’s always been a people problem.” Not to be confused with Morgan Spurlock’s similarly titled, vom-inducing doc Rats from last year, Theo Anthony’s Rat Film details two parallel stories: the rats multiplying in numbers across Baltimore, and the systemic racism dividing up the city’s residents into rich and poor. It goes without saying that this uncomfortable reflection of society takes umbrage with the evils of urban planning, and the close-ups for rodents will send squeamish viewers to their sick bags. So, something to disgust everyone.